This morning we had quite a lot of fog in our area, but during the day the sun came out and was shining for us. 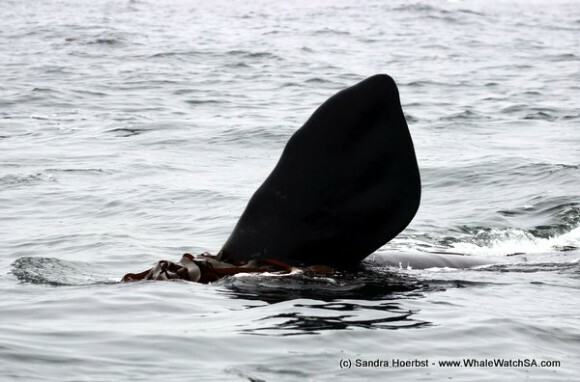 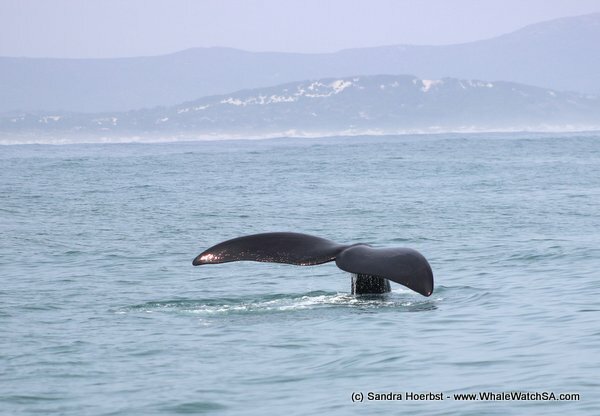 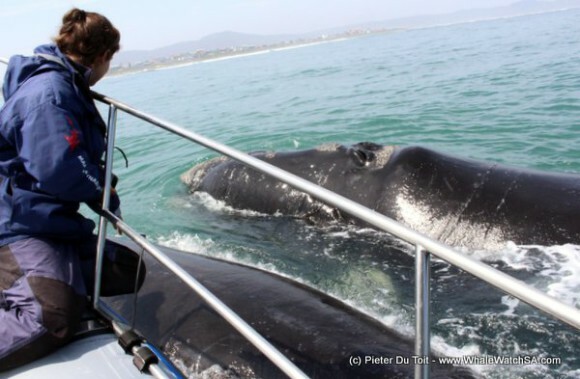 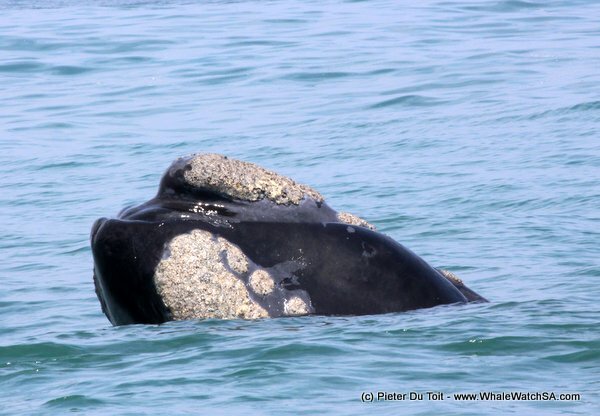 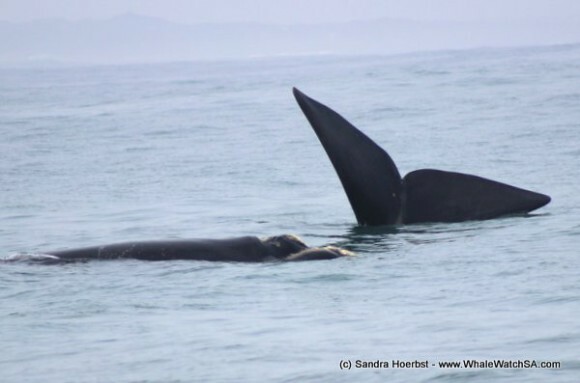 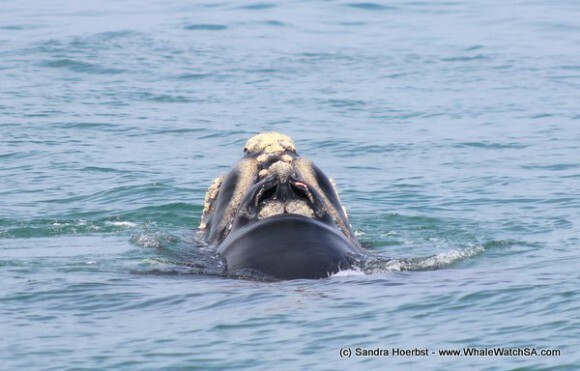 Today we had a close encounter with a Southern Right whale mother and her calf. 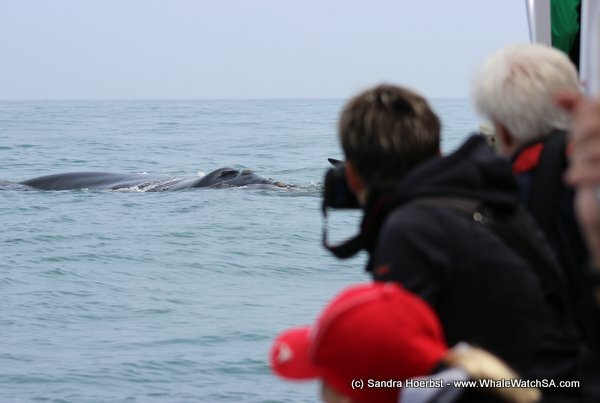 We know them quite well now, as they are in the bay since a few days and always come closer to have a look at us. 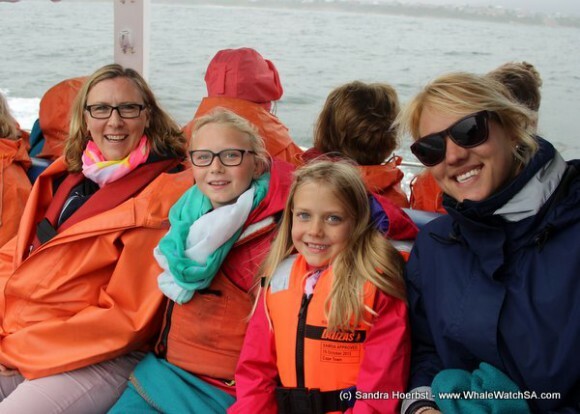 On our last trip for the day we headed towards Pearly Beach to see what the whales are doing around the corner. 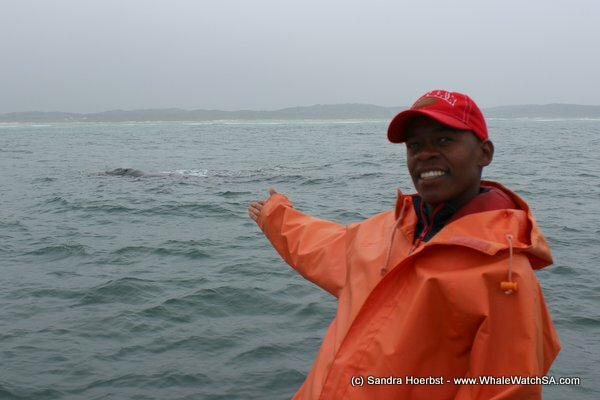 There we were so fascinated by the flukes they showed us. 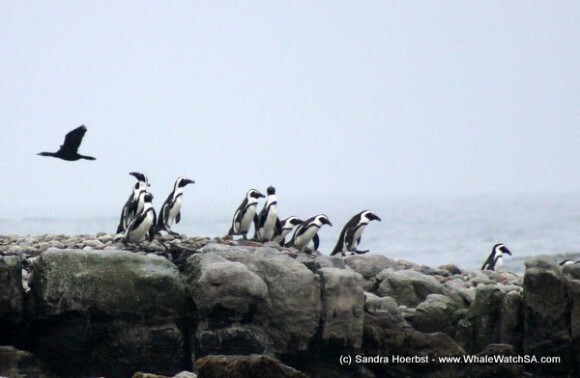 The African penguins we saw on Dyer Island today were busy on their way to go fishing and while passing Geyser Rock we spotted some big male seals already. 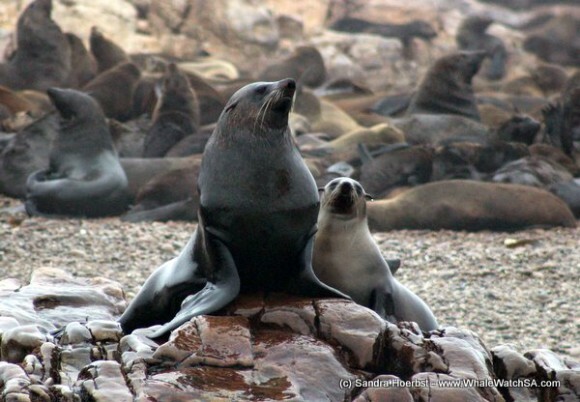 The mating season for the Cape Fur seals starts soon in November. Hopeing for another day out at sea tomorrow.